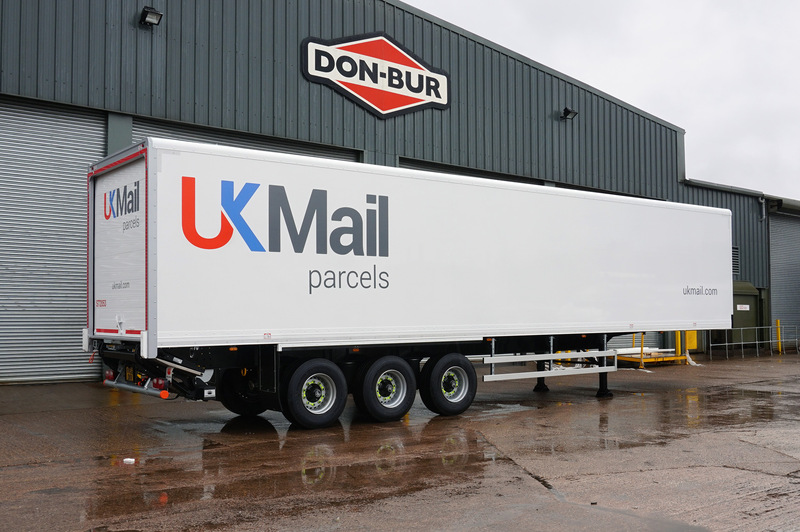 Box Vans are commonplace in the transport industry and are predominantly used for parcel carriers, high security loads and retail, including garment carriers. 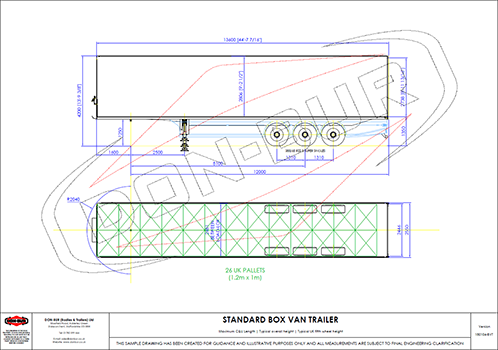 Box Vans are typically loaded through the rear at a bay or via a tail-lift at ground level at the point of delivery. 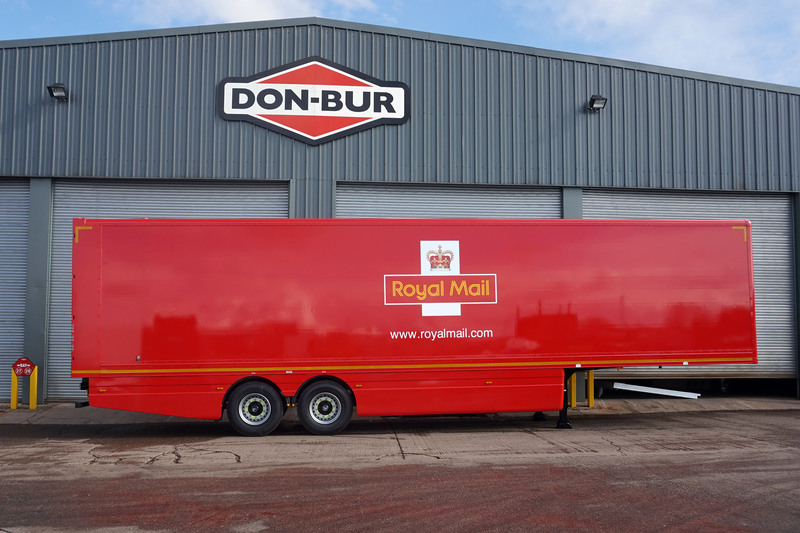 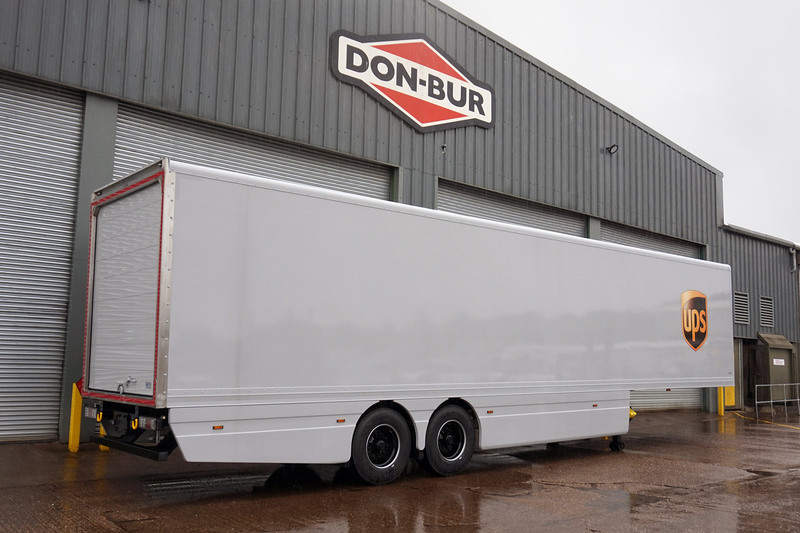 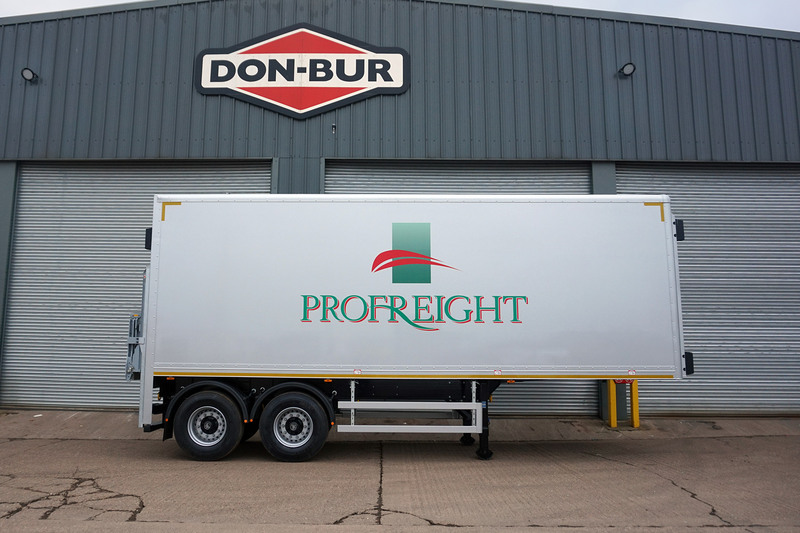 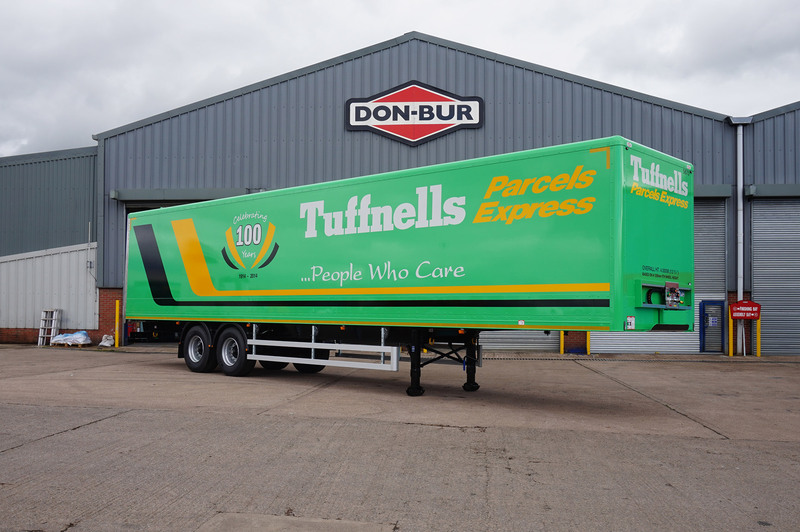 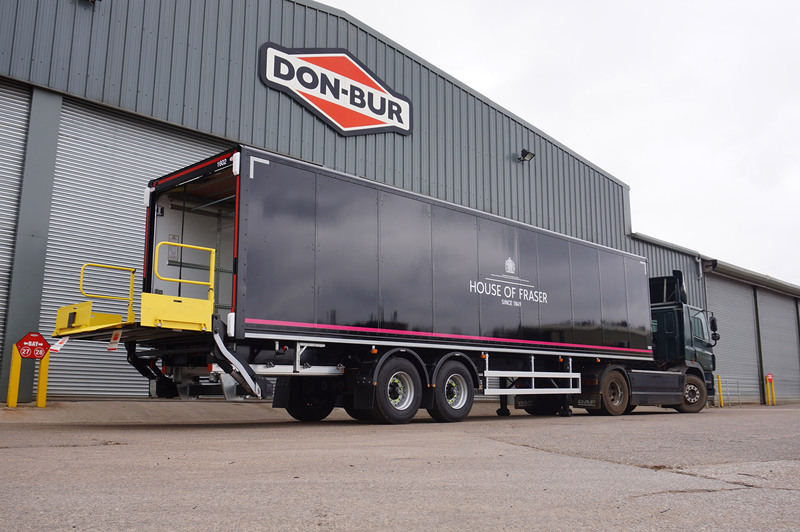 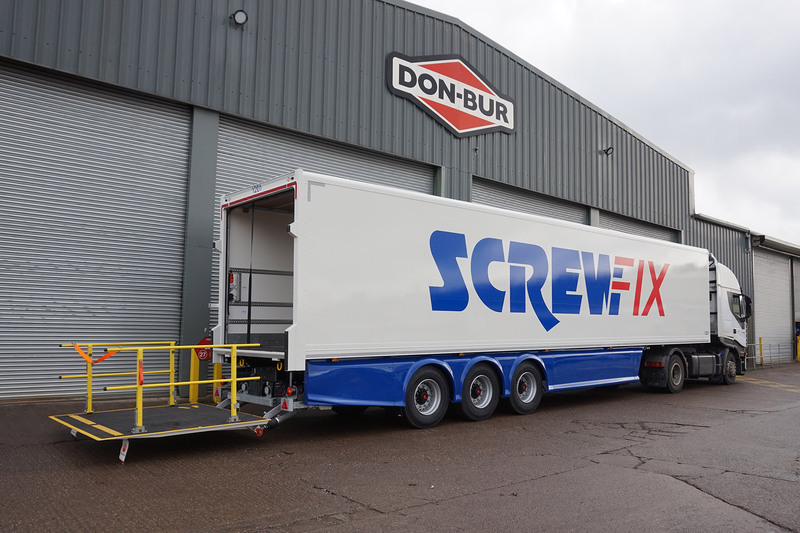 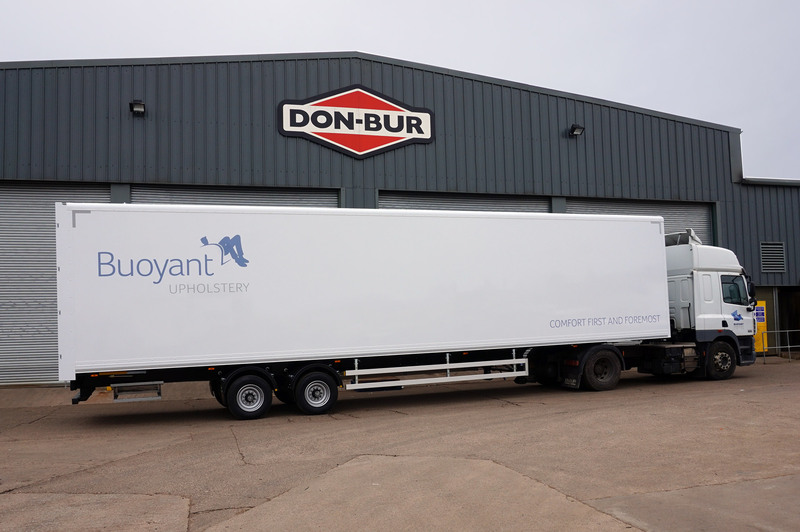 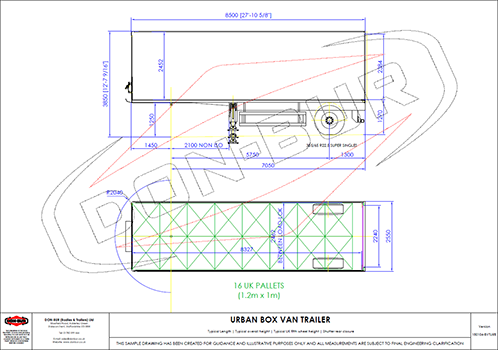 Don-Bur's expertise in designing and building Box Van bodywork is extensive and their trailers feature prominently in the major dry freight fleets. 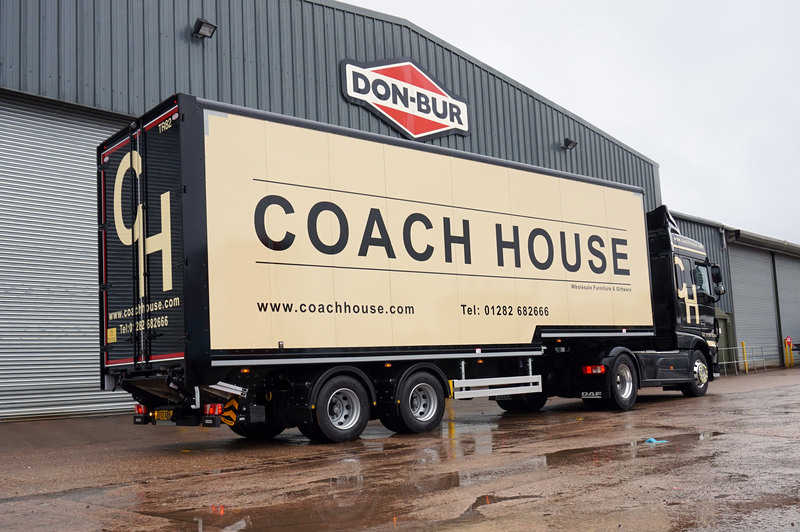 At just 7.5mm, Don-Bur's slimline 'Blade' panel provides a more superior durable and lightweight solution than its GRP counterpart. 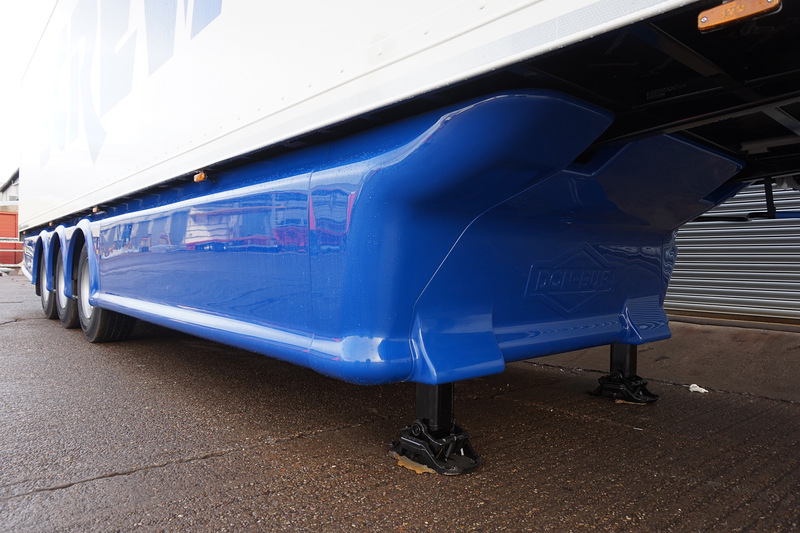 The patented aerodynamic Teardrop™ technology is a mature and well-tested method to save fuel. 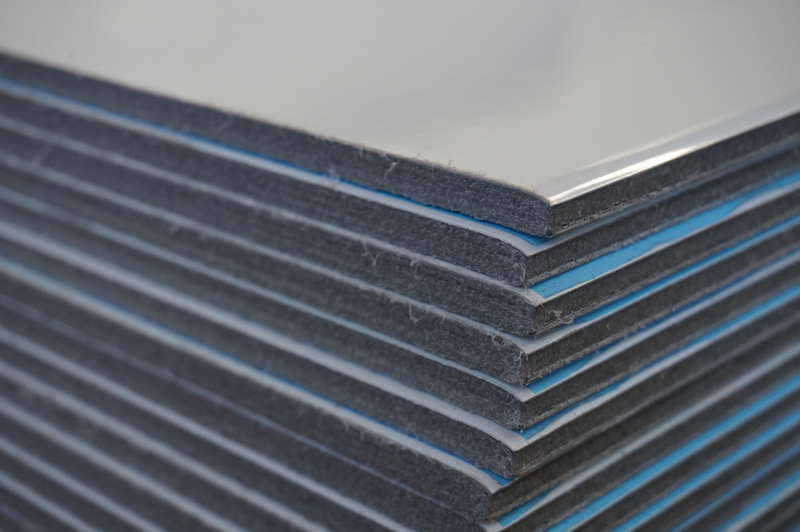 Side skirts come in a variety of shapes and sizes to improve aerodynamics and aesthetics. 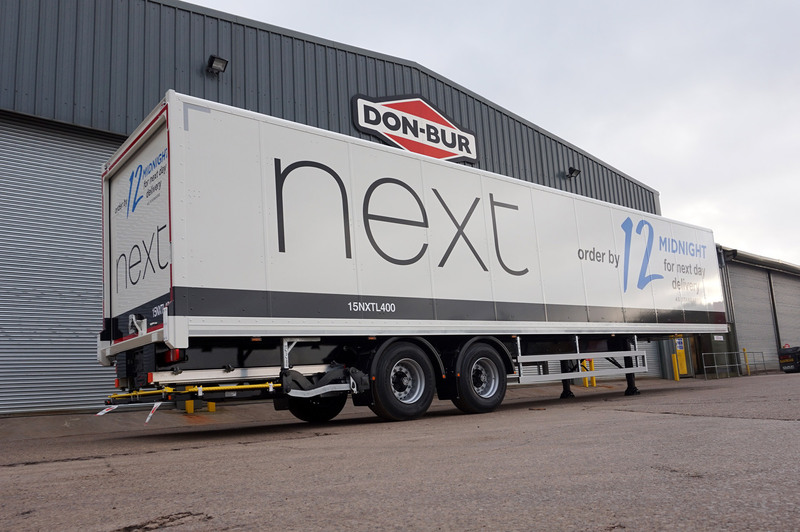 Market leader for parcel carriers and retail box vans, including garment carriers. 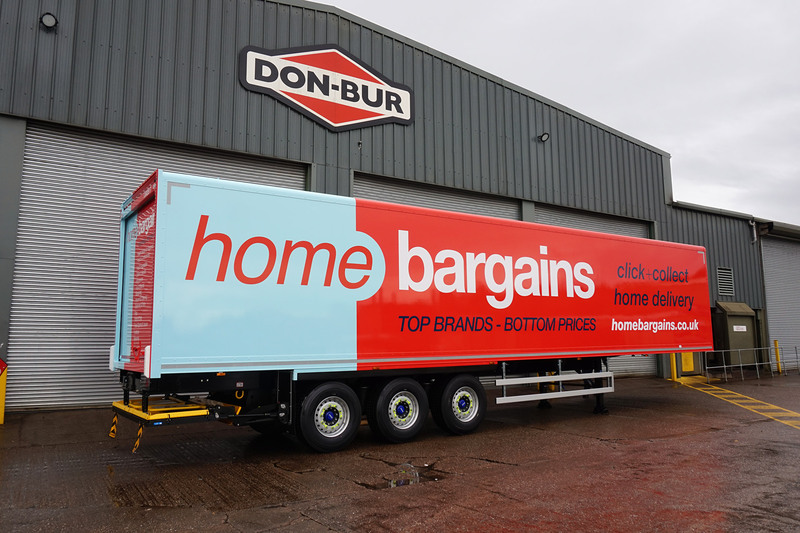 What other features and options are there? 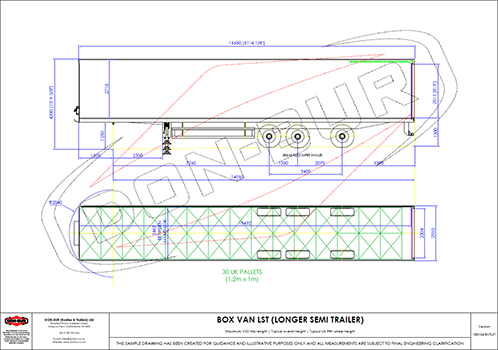 Tell me more about load restraint What facilities are there for livery? 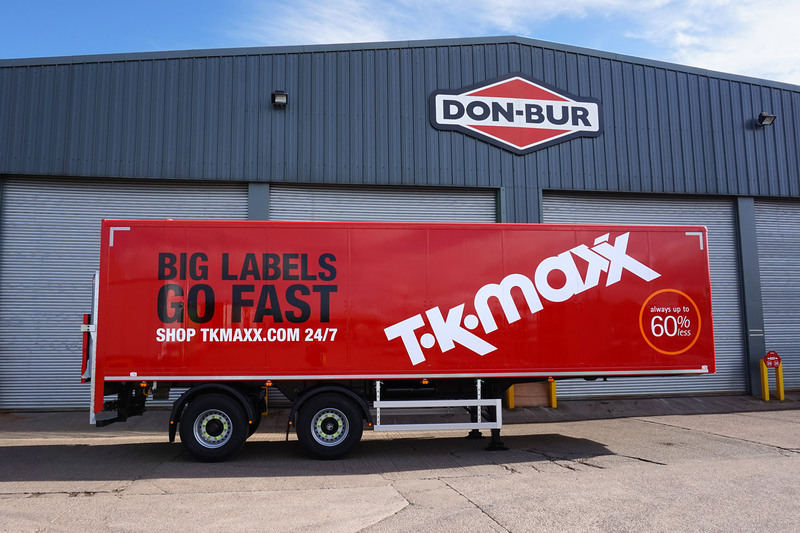 Do you do double decks?